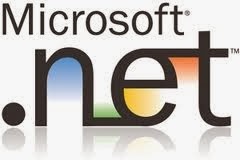 This Microsoft NET Framework 3.5 offline installer is one click easiest way to install Net FX 3.5 in Windows 8. Yes, one click install only and the software will add the NET 3.5 for your windows 8. We know, there are so many ways and tutorial out there telling about how to activate Net FX 3.5 for windows 8. Mostly, using windows DISM from command prompt. But many problem occurs from corrupt files in SXS folder. Other options is to install the .NET (online) by downloading a huge file (around 250 MB). Certainly it would take extra effort with extra patient. Sometime downloading updates takes longer time than downloading other files. With this option, You will have to re-download the file for every NET FX installation. But no more, all You have to do now is to download these file and run set up. Then let the installer run and complete the job. Those installer can be used for Windows 8 with 32 bit architecture as well as Windows 8 64 bit, all in one with smaller filesize. You can keep the installer to be used later in the future. Off course, it will save your time, bandwidth and save your days.